Less that two weeks after the much-expected firing of Ken Bone, Washington State University has found its next head basketball coach. And he's no stranger to the Pac-12. 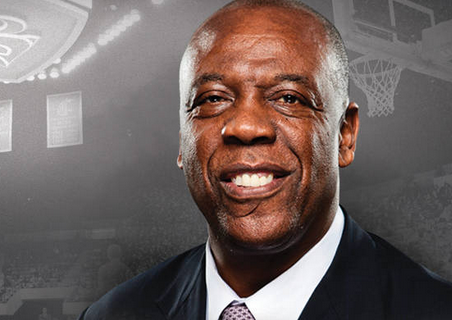 Ernie Kent, who coached at the University of Oregon from 1997 to 2010, during which he took the Ducks to two Elite Eights, was named the new head coach this afternoon. “I am excited that Ernie will be the leader of our men’s basketball program. I have witnessed firsthand his many talents. He has proven that he can win championships in our conference. Together we saw tremendous success at his alma mater and I have every reason to expect to see the same at mine," said WSU Athletic Director Bill Moos in a statement. Kent will be formally introduced in Pullman on Wednesday. The hire comes just a few days after WSU's efforts to woo Boise State head coach (and former Gonzaga assistant) Leon Rice fell flat and Rice decided to stay at BSU, receiving a nice raise in the process. Before coaching at Oregon, Kent — who played at Oregon, too — had a successful run at Saint Mary's. His all-time head coaching record is 235-174. Since being let go by Oregon four years ago, Kent has been a commentator for the Pac-12 network.